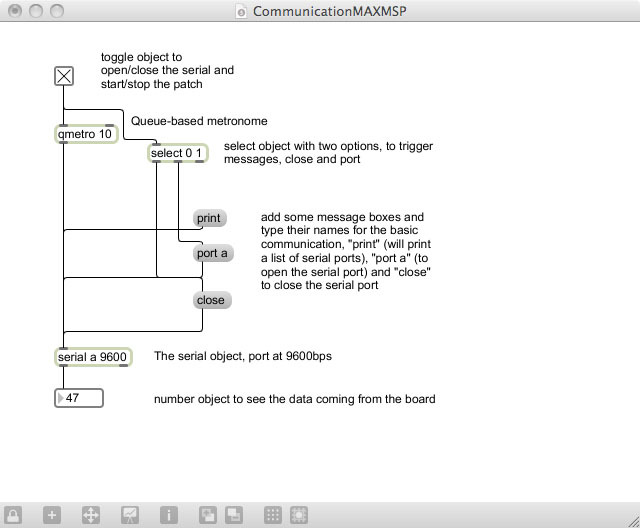 This tutorial introduces the basic interfacing between the Wiring hardware and MaxMSP http://cycling74.com. The brief for the tutorial will be to read simple values from the Wiring board. It assumes the Wiring software and MaxMSP are installed and the proper Wiring setup has been previously completed. For more Information on Wiring install check out the tutorials about Wiring installation and software setup. 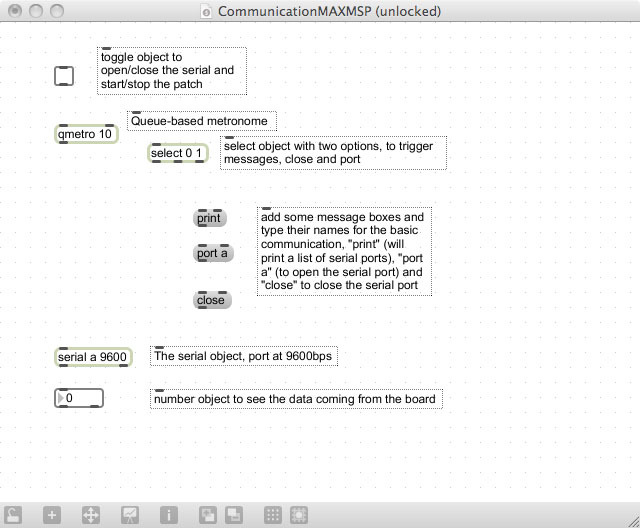 The full code for the example (both Wiring & MaxMSP is at the Examples -> Topics -> Other Software section here. 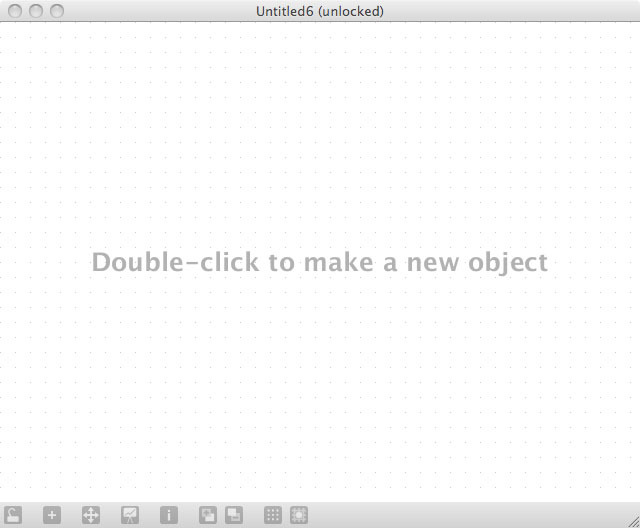 Next step is to setup things in MaxMSP. Start MaxMSP. Routing the connections sometimes produce a more readable patch, now the patch is ready to be tested, click the lock in the status bar and then click the toggle on the patch to start receiving data. The numbers will chang in the nimber box in the patch according to the data received from the board. 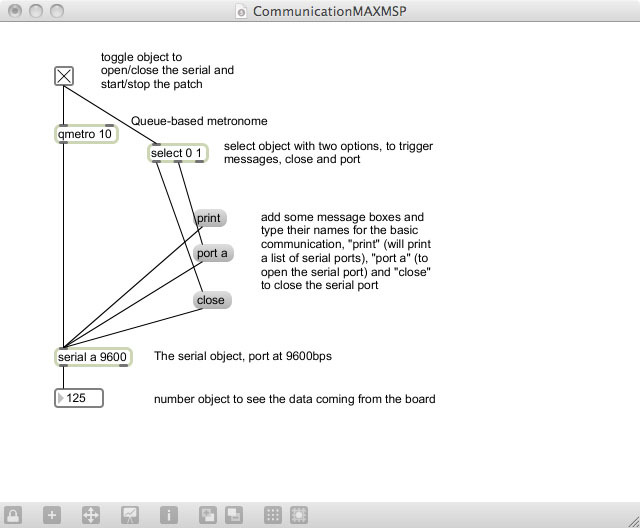 Next >> Sending data to the Wiring board from MaxMSP.